It’s finally here, the end of the road for the Collingwood football club in season 2016. It has of course come a lot earlier than what the aim was at the start of the year. The Magpies have underachieved yet again, and will finish the season with either 9 or 10 wins, well short of a finals place. Of course there are excuses, there always are, but season 2016 has been yet another failure for the biggest club in the land. They can however end it on somewhat of a high note, with recent form showing just what this team is capable of on it’s day. 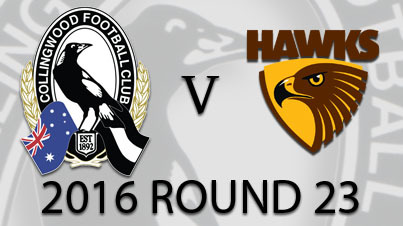 This Sunday the Pies will run into the modern day Goliath of the AFL world, Hawthorn. The Hawks are pushing for something that hasn’t been achieved since 1930, four premierships in succession. But only one team has won the premiership from outside the top 4 (Adelaide in 1998) so for the Hawks to make history they first have to win this game and secure a top 4 finish. That alone should be motivation for both teams and maybe we will get a classic to end the home and away season. This strangely enough will also be the one and only meeting between the two this season. With four quarters left in the year there’s not much to achieve for the Pies in so little time. What they can do is put an exclamation point on the end of a rather forgettable season. There haven’t been many memorable moments in 2016 for the Pies in fact the only ones are painful. Dane Swan, Brent Macaffer and Alan Toovey announced their retirements earlier this week and all 3 are unlikely to play on Sunday (Swan definitely won’t of course). Then there’s the injury list which once again seems to be getting longer after every week. There are 12 players unavailable for selection this weekend and that’s nothing new either. Injuries have played a huge part in ruining this year for the Pies but there are other reasons as well. The Pies ball use, especially out of the backline is of a low quality nature and leads to a lot of turnovers. The delivery insider forward 50 isn’t much better and that makes it hard when you have a make shift forward line for most of the year. There have been positives though, and a lot of those are playing this week. 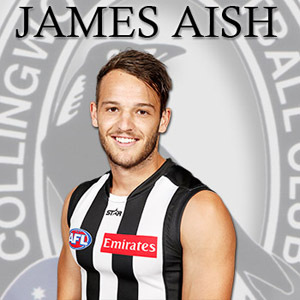 Grundy, De Goey, Phillips, Crocker, Marsh, Aish, Maynard, Crisp, Smith and Wills have all taken steps forward and all should be in the side against the Hawks. Mason Cox though may well be the story of season 2016 for Collingwood. The American came into the season as a novelty act really, but made a stunning debut in the big win on ANZAC day and has made a big influence since. If Cox is selected for this game he will have played 12 senior games which is a remarkable return. Of course there’s also the experienced players at the club who have kept this side competitive for most of the season. Adam Treloar and Scott Pendlebury will fight it out for the Copeland Trophy in a few weeks, with Treloar almost into favoritism now after some excellent recent form. Ben Reid and Nathan Brown down back have had solid and largely uninterrupted seasons for the first time in years too. For this game the Pies will be forced into at least one change with Darcy Moore once again injuring his hamstring. Travis Cloke has already been confirmed as his replacement after a solid performance in the VFL on Saturday. Tyson Goldsack, Jack Frost, Matthew Goodyear, Mason Cox, Brent Macaffer and Jarrod Witts will all consider themselves some chance of being named to play the Hawks also. 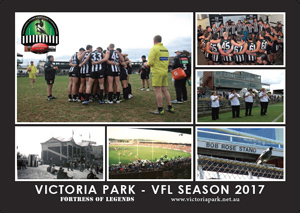 The last two games have been impressive from the Pies and if they bring that effort and intensity they may be able to end the season with a history changing win. The Hawthorn football club has been able to maintain a position at the top end of the AFL table for the better of the last decade, which is extraordinary really. 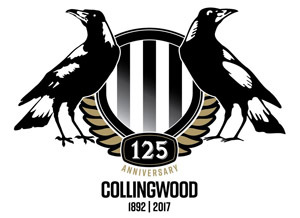 Now they sit on the precipice of becoming immortal in the AFL world, of equaling the great Collingwood team of the late 1920’s in winning four premierships in a row. Many have tried since the team nicknamed “the machine” completed the foursome in 1930, but all have failed. The Hawks though looked likely to complete what the Lions of 2004 couldn’t, until the last few weeks that was. Losses to Melbourne and the West Coast Eagles have left the Hawks teetering on the edge of the top 4, in need of a win this weekend to enter the finals with that vital double chance. The Hawthorn midfield has been so consistently strong over the years that’s it’s somewhat of a shock to see it falling away in 2016. Mitchell, Hodge and Lewis may be getting older but still carry the burden of a central grouping that is beaten for contested possessions and clearances most weeks. Whether that’s a deliberate attempt from coach Alastair Clarkson to nurse his aging team to September or whether they are actually gradually reducing in ability, time will tell. Last week against the Eagles they had 12 fewer clearances and 45 less contested possessions, which is a massive disparity in modern day footy. The Hawks have managed to still win games despite those figures but of late it has cost them in games they have lost. The face off against a Pies midfield that just destroyed the Gold Coast Suns last week. Pendlebury, Treloar, Sidebottom, Crisp and the best young ruckman in the game, Brodie Grundy, will test this struggling Hawks midfield. The Hawks forward line is still their greatest asset. Even with the absence of Jarryd Roughead this season they are still as efficient as just about any team when they do get a forward 50 entry. With Gunston, Breust, Rioli and Puopolo the main stays of this attack it is still something to be feared. The surprise addition of 2016 has been James Sicily who will go into this game having kicked 28 goals for the year, more than any Collingwood player. With that 5 pronged approach and with a resting ruckman also added to it the Pies may struggle to contain the Hawks if they get it inside 50 enough. The Magpies do have a competent defense although the absence of several key players to injury means they aren’t running at full effectiveness down back. The Hawthorn backline may well be their biggest concern going into the finals. Against the Eagles last week it simply folded under constant pressure and allowed the home team to dominant. With James Frawley and Josh Gibson now the only recognisable key defenders, this is an area of the ground teams look to exploit. The Hawks have relied on a team defense throughout their successful period but with Ryan Schoenmakers getting through a few VFL games he may be recalled to help their defensive depth. The Hawks backline is also struggling to rebound the ball out of defensive 50 as they rank 16th in that statistical category. They face off against a decimated Collingwood forward line this weekend which should help them get some confidence going into the finals. This is a massive game for the Hawthorn football club. With losses in 2 of their last 3 games a defeat here places them in an elimination final in week one of the finals. A win though secures them a top 4 spot for the sixth season in a row, and that vital double chance in the finals. They know this won’t be easy though and the Hawks will have to play better than they have in recent weeks. They have lost Jon Ceglar to a knee injury and with very few other options Jack Fitzpatrick may be called upon as his replacement. Ryan Schoenmakers got through another VFL game and looks fit enough to return also. You would expect a fired up Hawthorn team on Sunday, but this 2016 version of the Hawks hasn’t been that reliable. A few weeks ago this would have been a walkover. The Magpies were struggling and looked like meandering towards the end of yet another wasted season. But the past few weeks have seen a spark of life from the Pies and they will take this game up to the once might Hawks. The importance of the game won’t be lost on the Hawthorn players and they usually respond so well after a loss. Talking of losses and the absence of Jon Ceglar may make a huge difference in this game. Brodie Grundy is the best young ruckman in the AFL and is dominating for the Pies on a weekly basis now. If Grundy can get on top and give first ball use to the Pies midfielders they can come away with a win in their final game of 2016. The great Dane Swan this week announced his retirement from the AFL after 258 games for the Collingwood football club. Swan has done it all, a Brownlow medal, multiple All Australians and Best and Fairests’ and of course a vital role in the 2010 premiership triumph. He will go down as one of the greatest players ever to pull on the black and white jumper. Thank you Dane Swan.